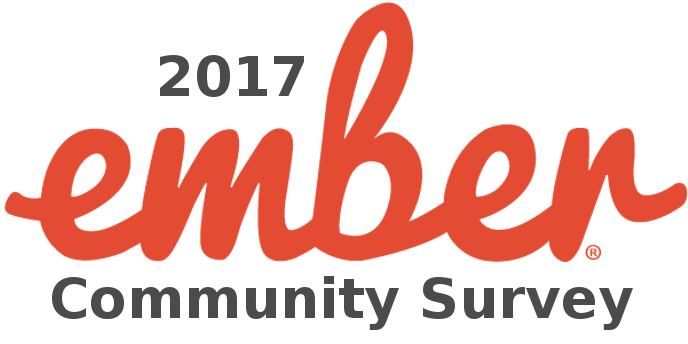 This will be an EmberConf-themed, as the community does the last round of preparations for the annual event. If you are attending be sure to say hi to the learning team. First of all, I want to bring everyone's attention to our annual community survey! Filling out the survey is one of the best ways to help the Ember project understand the community's needs and wants, in order to plan for the future. While the results will be unveiled live at EmberConf, they will also be released at the survey page linked above. 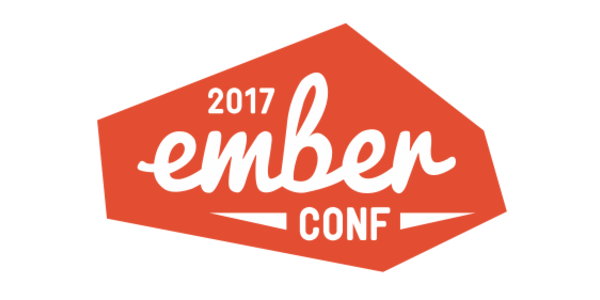 As most readers hopefully know, the 2017 edition of the annual EmberConf is right around the corner on March 28 and 29, with a day of training on the 27th. This conference is a great way to meet all sorts of members of the community, from contributors to addon authors, podcasters and enthusiasts. There's still time to register for a regular ticket, and even some of the training sessions! 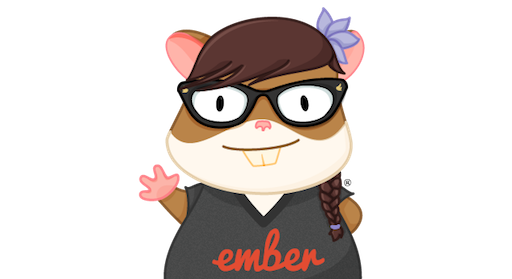 While the core libraries (Ember, Ember Data, Ember CLI) follow a 6-week release cycle, other resources like the website, the guides, and the tutorial have a fuzzier development process. For the rest of this newsletter we will revisit some of the projects that have been going on in this fuzzier realm. The first item of news is actually one we hope you didn't notice at all! 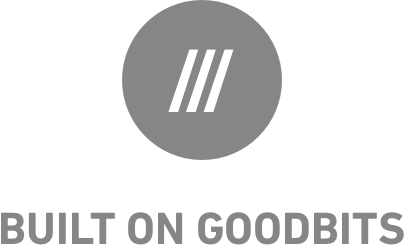 That's because we have been slowly consolidating our infrastructure, and the main website has a new home. One visible difference is that we now have SSL for all our resources, and not just the Guides. Related to the new Learn page, where we link to various resources that should be helpful to anyone exploring Ember is its appearance in the navigation bar at the top of the website. This is part of our continuous plan to improve the learning experience, including improving the Tutorial based on feedback, and eventually splitting it off into a section dedicated to tutorials. Continuing the documentation and learning theme, a new project called ember-cli-addon-docs has popped up that intends to help addon authors get a documentation and marketing website bootstrapped. The goal is to provide authors with a cohesive Ember addon identity, as well as tools to easily generate API documentation and interactive demos. The Ember Twiddle redesign work that has been mentioned in previous issues carries on at a steady speed. There's always room for extra help, so drop by `#-ember-twiddle` on the Slack community if you're interested. 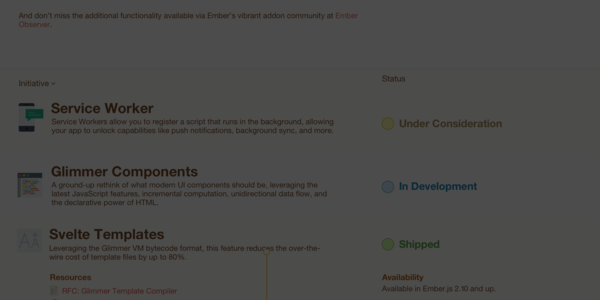 As for Ember Hearth, the GUI application to help you create and manage Ember project, it saw a new home for the Electron-based rewrite. A beta release that builds on the fantastic work that the ember-electron contributors have been doing should be out by EmberConf.